Every company’s online presence starts with a website. Whether the business needs an elegant landing page or a complex multi-media hub, WebsPlanet offers one central platform and a suite of easy-to-use tools that will allow you to not only fulfill your clients’ needs, but to exceed their expectations. No matter how simple or elaborate their vision, it’s easy to get SMBs started with our vast library of diverse templates. Get them online immediately with a turnkey solution, or let them tweak until their heart’s content with our user-friendly drag and drop technology and collection of customizable widgets and modules. One website. On any device. 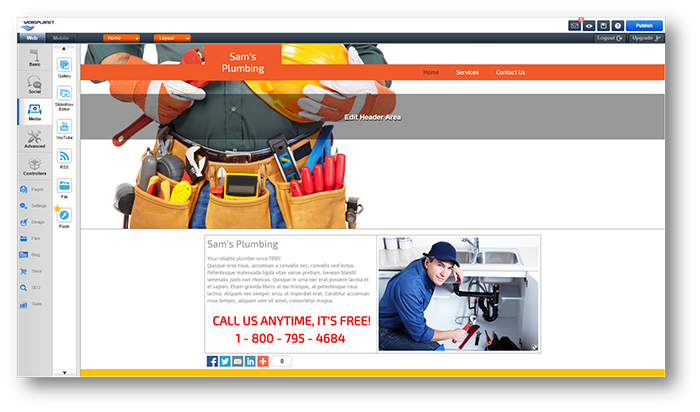 Every website powered through our platform is automatically optimized for desktop and mobile viewing. 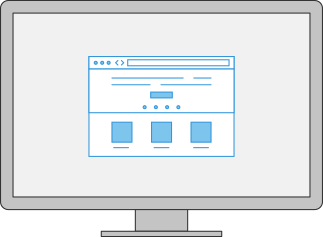 No matter where customers access the site, no matter on what device, they will find it formatted and adjusted perfectly for their screen. Bottom line: you only build the website once. We do the rest.